Notes: Hospital for Invalid Seamen. — St. Joseph’s General Hospital, located on Point lane, near Caroline Street extended, was yesterday accepted by Surgeon-General Hamilton to have the care of marine patients at the port of Baltimore. Proposals were opened last Saturday by Dr. Goldsborough, United States hospital surgeon of Baltimore. The terms required were that the hospital surgeon must have supervision of the patients, a priviledge not included in the contract at present. This omission has been unsatisfactory to the heads of the marine hospital service. 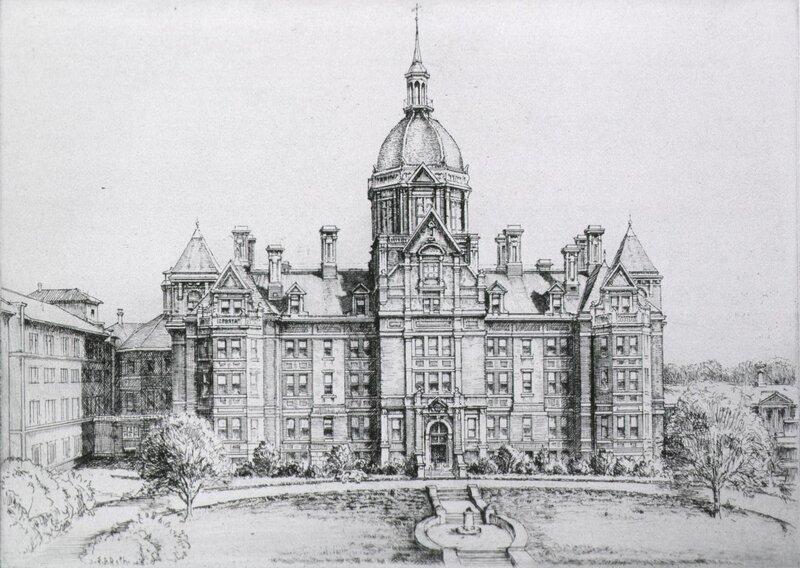 In the event that an offer had not been received from a hospital in the city granting the marine surgeon control of his patients, a suitable building would have been leased for a term of not less than two years to accommodate one hundred men. In two years the hospital service hope that Congress will give this port a United States marine hospital, as has been done to other ports. The contract for the care of seamen patients at Maryland University Hospital will cease with June 30, the end of the government fiscal year. The fees for caring for sailor patients are accumulated from taxation or assessment on the wages of all classes of Americans who follow the water in vessels belonging to their own nationality, and some funds come from other sources. Steamboats, bay crafts and seagoing vessels come under the regulation. Those who become invalids are admitted to hospital by the marine surgeon, and will be discharged by him when convalescent. St. Joseph’s Hospital is under the care of the Catholic Sisters of the third order of St. Francis. It is on high ground at the northeastern city suburbs, and its location is eligible for such an institution. Source: Sun, June 22, 1880.